Here’s the article that appeared today on the front of CNN. It showcases the work of artist Makoto Azuma. 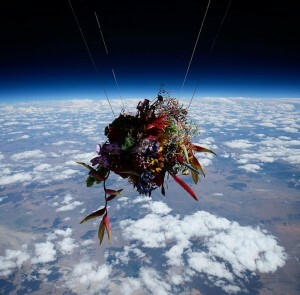 We’ve had the pleasure of working with him and his team to send his work to the edge of space. Check out the high altitude shots! This entry was posted on Tuesday, November 27th, 2018 at 7:02 pm and is filed under Uncategorized. You can follow any responses to this entry through the RSS 2.0 feed. Both comments and pings are currently closed.